Father Art Johnson, a Franciscan Friar of the Atonement, died March 26 at Lourdes McKeen Towers Skilled Nursing Home in Florida. He was 64 years old. Born in East Lansdowne and raised in Havertown, Father Johnson received his undergraduate degree from Villanova University and entered the Franciscan Friars of the Atonement in 1970, taking his final vows in August 1976. He was ordained a priest in 1977. In addition to his master’s degree in educational and pastoral ministries from Emmanuel College in Boston and a master’s in theology from Catholic University of America in Washington, D.C., Father Johnson earned a certificate in alcohol/drug studies from Loyola Marymount University in Los Angeles. 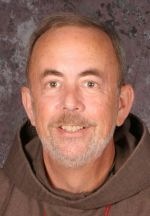 In 1999 he was elected to the position of minister general of the Franciscan Friars of the Atonement, serving their ministries in the United States, Canada, Japan, England and Rome. Earlier, he served as president and CEO of St. Joseph’s Rehabilitation Center in Saranac Lake, N.Y., for 10 years. Father Johnson is the former assistant director for ecumenical and interreligious affairs for the Archdiocese of Los Angeles. He served on the National Advisory Council of the United States Conference of Catholic Bishops. From 2005 to 2013 he served as parochial vicar at Christ the Redeemer Parish in Sterling, Va.
Father Johnson shared his knowledge and experience in chemical dependency as a member of the Governor’s Advisory Council on Alcoholism and Substance Abuse in New York State. He served on the board of directors for St. Christopher’s Inn at Graymoor in Garrison, N.Y., a Franciscan ministry. A wake service will be held from 7 to 9 p.m. April 23 at Stretch Funeral Home, 236 East Eagle Road in Havertown. The funeral Mass will be celebrated April 24 at St. Denis Church in Havertown. Through their mission and ministries, the Franciscan Friars of the Atonement serve people of every race, religion and walk of life. Their social ministries help the poor, the needy and the homeless; people living with HIV; frail and elderly in hospitals and hospices; those in prison; and people seeking recovery from alcoholism and chemical addictions. Their ecumenical work makes them leaders of the international movement to heal the divisions within Christianity and among all faiths. Through their prayers and pastoral ministries, they bring spiritual renewal, unity, harmony and reconciliation throughout the world and carry the Gospel’s message to three continents.